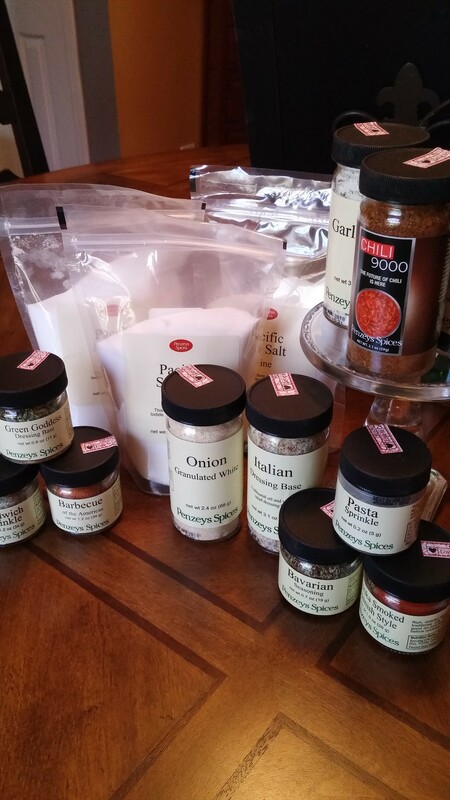 I have talked about the spices I use in many blog posts. Today I thought I would share my last order with you and show you what I order normally. 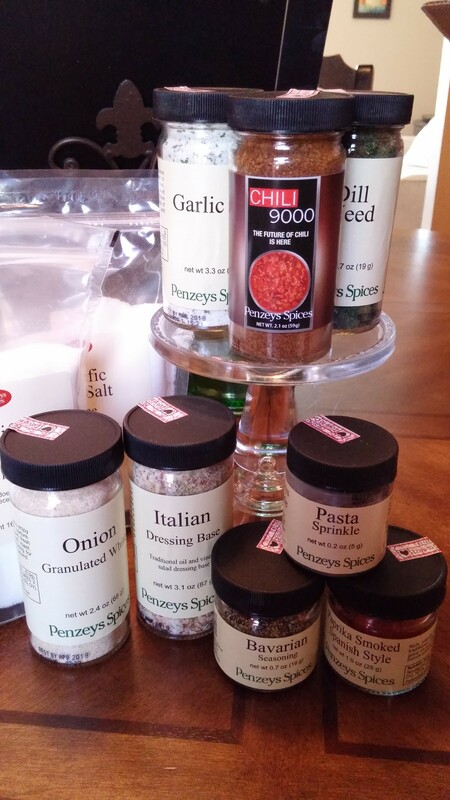 I use Penzeys spices. I LOVE these high quality spices. You can order them online. Here in Maryland there is a store in Rockville. It is worth going to if you have never been. The staff are friendly and knowledgeable and always willing to help you! It is also worth ordering a catalog online. The catalog always has many recipes in it. I order 3 to 4 times a year. Orders typically take one week to receive. My order always consists of Sea Salt, Chili 9000, Onion Powder, Dill, Italian Dressing mix, Garlic Salt and/or Powder and Green Goddess which I occasionally use for making dressing but my favorite way to use it is just sprinkled on my salads. Not this time but normally Black Pepper and Southwest Seasoning. I usually look around the site and try 1 or 2 new spices. This time I tried Barbecue of the Americas and Sandwich Sprinkle. Stay tuned for a yummy recipe tomorrow made with the Barbecue of the Americas spice! 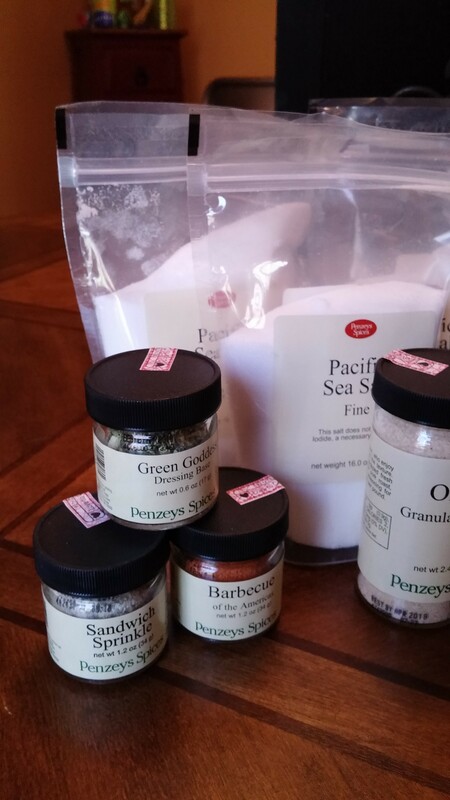 Penzeys always sends a sample spice and sometimes they have specials where they will include 2 free spices! ENJOY!